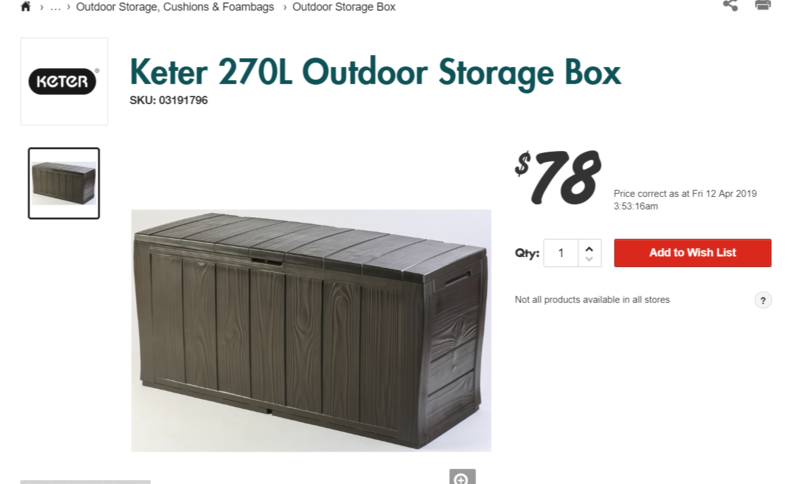 Bunnings is offering the Keter 270L Outdoor Storage Box for $49. Normally $78. Other storage boxes are from $180 so this is fairly good. Same deal as last year. The marketing peeps aren't very creative. The Keter 270L Outdoor Storage Box is both incredibly functional and durable. It is constructed with polypropylene, is UV stabilized and weatherproof making it the perfect solution for outdoor storage.